I love to teach…learn with me! What are the most common image types on the web? Should I Convert Old Videos to DVD or Video Files? To update the software for your hardware, like cameras or even DVD Players, etc – something called Firmware – companies either have you update the camera directly or provide software you download onto your computer and then connect that device to your computer for updating your device. 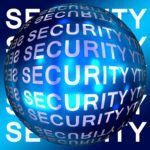 According to an aritlce on Petapixel.com this week – a security expert cautions folks with Sony cameras about the potential security risks that are inherent with the way Sony’s camera firmware updater might affect your computer. A MIDI Controlled ring that allows musicians to provide music effects. From CES 2018 (Consumer Electronics Show) held in Las Vegas there is always new and innovative technology on show. One of these that caught my eye this week is called Enhancia. It’s a ring you wear on your finger, that is connected to a hub that integrates with an electronic instrument, like an electronic keyboard. The musician can move their hand with the ring on it to affect the musical notes they’re playing. See the video for a sample where you can see the keyboard player moves the ring to cause vibrato in the notes. Pretty amazing stuff – the company announced they will launch a Kickstarter campaign this Spring with an estimated price of $250-$400 US. An insightful article by Walt Mossberg shares thoughts about the challenges of the battery in our SmartPhones. 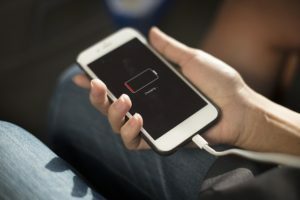 As we expect more from our mobile devices he shares how the battery technology is perhaps the component that needs updating. Subscribe to my Tech Talk email list and you'll receive my free Tech Tips & Tutorials eNewsletter! I hate SPAM as much as you do, I will keep your info private and safe. I am an author, a speaker, and an expert teacher. My passion is to inspire and enable people to use today's technology more securely, more creatively, and more successfully. Chet is a Master Teacher in personal technologies and digital storytelling... photography & video. "I delight in capturing the beauty of our world" said Chet. 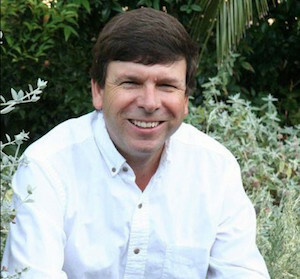 With Chet's fluency in tech tools and his proven success as an excellent teacher he has launched Your Technology Tutor...with hands-on workshops, internet delivered instruction and DVD tutorials. In addition Chet enjoys traveling - playing tennis, snowboarding and mountain biking. ©2019 Your Technology Tutor. Powered by the Get Noticed! Theme.